There is a tall task laying in front of you when your business card says the gardens at Canada’s largest celebration of gardening and landscaping are under your purview. But Derrick Hawley is up to the challenge after being named the Head of Horticulture for Canada Blooms. A professional agrologist with extensive experience tending the immaculate fairways and greens in the golf sector, Derrick was most recently a turf management and arboriculture instructor at both Durham College and Humber College. Derrick has a Bachelor of Science in Agribusiness and Environmental Studies from McGill University and a Masters of Science in Agronomy from Iowa State University. Prior to teaching, Derrick spent 13 years as the Director of Agronomy and Horticulture Operations at Sleepy Hollow Country Club in Stouffville, Ont., north of Toronto and, before that, eight years as the assistant superintendent and head horticulturalist at Royal Montreal Golf Club. 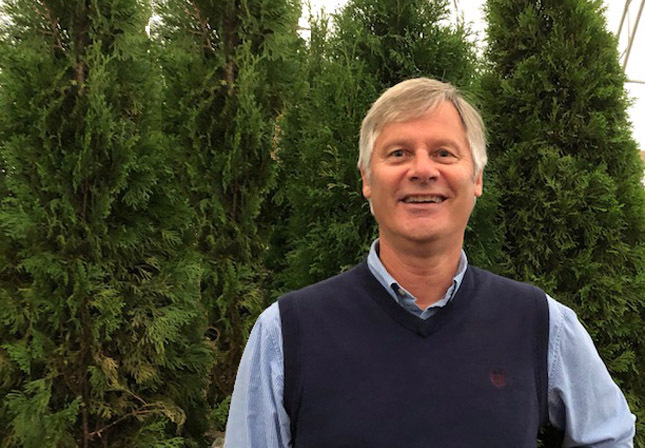 With Canada Blooms, Derrick says his priorities are to identify industry challenges and opportunities while simultaneously seeking to provide top quality ornamental plant material. The Head of Horticulture at Canada Blooms is responsible for the development of a plant material plan, as well as with the coordinating and assisting with the planning and installation of Feature Gardens — including sourcing and negotiating with vendors and plant suppliers to create a world-class flower and garden show.